The impulser was developed by us as an inexpensive accessory for the control of our “pneumatic knocker”. It allowed a large time range for the break time time from 0.5 to 300 seconds and the working time from 0.5 to 60 seconds. In order to facilitate the setting of short times, the first half of the scale has been extended very much so that the effect of a range selection from 1 to 9 can be obtained by simple means. The Impulser is available as built-on implement type – suitable for bearing rail 35 DIN 46277 – and as instrument for panel mounting with the front dimensions 72 x 48 mm. 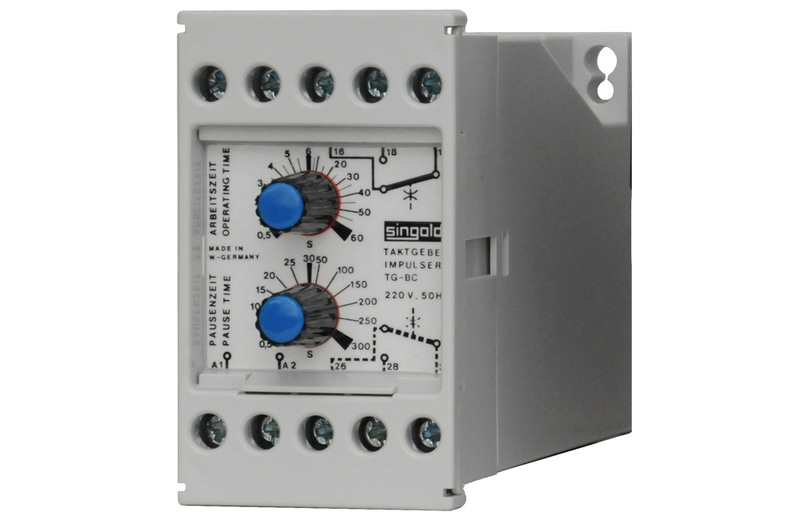 The stepping relais SD04 and SD08 are electronic control units using a programmable logic controller (PLC) for periodic cycles with switching of 4 or 8 relay outputs, each with one contact, as is required when knocking larger silo systems, filtration systems, dry towers or when cleaning of dust filter tubes. All time ranges may be changed to seconds, minutes or hours, so that short and long work, pause, repeat and return times can be most optimally adapted to the requirements. 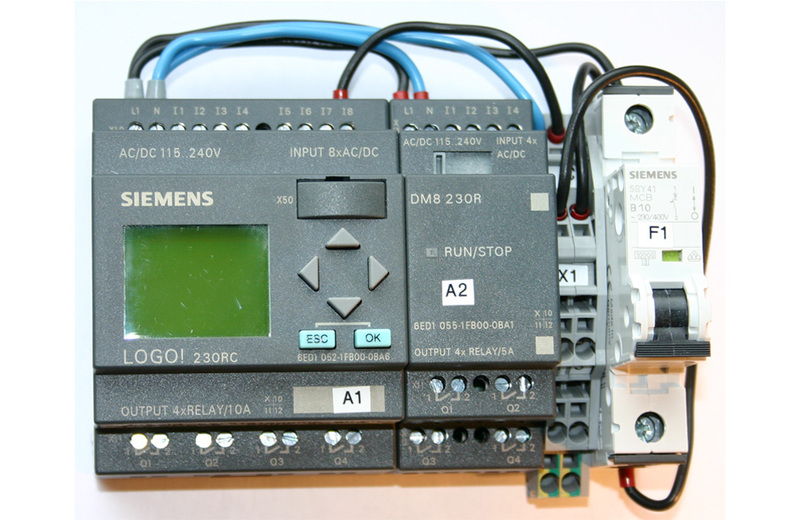 An input for remote control of a switch room or similar is also available.